Yet many marketers still don't prioritize retention over acquisition. There is a certain rationale behind that. 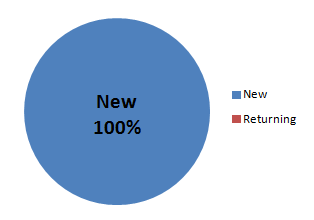 For starters, there's really no such thing as 100% retention. (If nothing else, all of today's customers will be dead within 100 years!) So, without a rate of acquisition that beats the rate of attrition, your customer base will shrink to nothing at some point in time. And then there's the competition: the need to win a sustainable market share. If you're not acquiring the new customers in your market, someone else is. That someone else will get the economies of scale, and you will lose power. After that, your future acquisition efforts become more expensive as you have to take a greater amount from competitors instead of acquiring the prospects that no one has yet. Still, this rationale doesn't diminish the need to retain customers in order to capture more of their life-time value potential. In fact, it highlights the need for more, or better, retention efforts. Of course, not everyone is totally ignoring retention. But even among those who do retention activities, these will often be quite unoptimized. Studies show that even those who do a great job segmenting and targeting for acquisition tend not to apply similar analysis, profiling and personalization to their retention marketing. Or if they do, it is only a coarse bucketing of offers—wisdom of the crowds stuff. One company is highly focused on the discipline of retention marketing. Retention Science are applying the modern techniques of data science to the task of retention. This is important because, while the tools and techniques are similar at a high level, the levers behind optimizing retention are different than those of acquisition. For marketers, and for the tools they use, a focus on the science, strategies, and tactics of retention makes a difference. Executing Retention Marketing is playing both offense and defense. Offense, in that you can grow usage among your naturally higher ROI existing customers. Defense, in that you can keep them coming back before they seek out the competition. If you're firing on all your acquisition cylinders, but still looking for growth—and better ROI—turn to the science and art of retention marketing. It has more innovative information.It is good to read this contents.